Home » Blog » What Is A Memorandum Of Sale? What Is A Memorandum Of Sale? When buying or selling a house, you may have encountered the term ‘memorandum of sale’, but be unfamiliar with what it is or why it’s important. If you’re a prospective buyer wanting to submit a mortgage application or you’re a seller wanting to sell your house fast, you will be required to obtain a memorandum of sale. Our blog post explains what a memorandum of sale contains, when it is issued and other useful information to help you understand what the document is. What is a memorandum of sale and what should it contain? Why is a memorandum of sale important? Signing a memorandum of sale is generally seen as the first step of the buying/selling process. While it is not a legally binding document, it acts as an informal precursor to the final contract and plays an essential part in surveying and investigating the property. Most property sales are agreed over the phone and therefore a memorandum of sale provides written evidence from the vendor that an offer has been accepted. When is a memorandum of sale issued? Your estate agent will draft the document once you make or receive an offer and it is accepted. It should be received via post or email as soon as possible after a verbal sale has been agreed. At this stage, neither the buyer or seller are legally obligated to follow the conditions of the memorandum and therefore it is subject to change or negotiation. What happens after a memorandum of sale is signed? In England and Wales, following a memorandum it is the buyer’s responsibility to research the suitability of the property before the final purchase is made. This is usually done by obtaining a surveyor to inspect the property and ensure that the seller has provided an accurate description. Until the final sales contract is agreed to and signed, the seller doesn’t need to remove the property from the market following an offer. Once the buyer and their solicitor are satisfied with the property conditions, each party signs a final sales contract. This contract becomes legally binding once formally agreed and exchanged by each party’s solicitors. In Scotland, the property is generally removed from the market following a successful offer. The parties’ solicitors act as agents and sign the final sales contract on behalf of the seller and buyer in a series of letters known as missives. Missives generally conclude faster than the documentation process in England or Wales, but they are not legally binding until completed. Most issues with this stage of the conveyancing process are a result of buying within a property chain. A property chain occurs when the seller or homebuyer’s transaction is dependent on another sale. It’s usually the case that a seller is buying another home to move into themselves and unless you’re a first-time buyer, you’ll likely be selling your home and depending on that sale to fund your move. If one link breaks, perhaps due to the seller not being able to procure a house or simply deciding not to move after all, the entire chain falls apart. Another common issue is the duration for a transaction to reach completion following the memorandum of sale. The completion date is posited as four weeks after the formal exchange of final contracts, but the unreliable nature of a property chain means there could be several delays between the memorandum and this final stage. 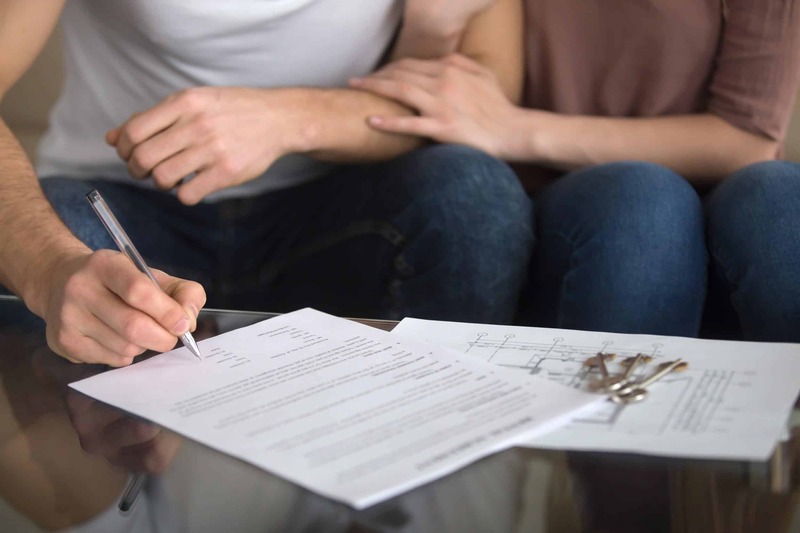 The best way to avoid delays where possible is to ensure you have procured a competent solicitor and agent to assist with the buying/selling process. As the memorandum of sale is not a legally binding document there are no penalties if one party chooses to withdraw at this stage, therefore no reassurance that the sale will continue to completion. While you cannot eradicate the possibility of a sale falling through, being organised and honest throughout the process helps. When buying, be honest about your financial situation and procure a mortgage agreement in principle before starting to ensure you’re only looking at properties you will get the finance for. When selling, be fair with your asking price and honest about the condition of the property. A memorandum of sale can seem overwhelming. However, the importance and benefits of procuring one make it worth taking the time to familiarise yourself with it and we recommend seeking legal guidance if you feel you need to. If you’re looking to buy or sell a property quickly, contact our experienced surveying professionals here at Good Move, who will be happy to help.